Posted June 2, 2016 at 6:53 pm by M&M Mechanical, Inc. & filed under General Tips . Whether your home improvement skills are limited to hanging the occasional shelf or you consider yourself a budding Bob Vila, there is one home improvement project that should always be left to professionals – air conditioning installation. 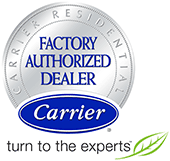 A professionally installed air conditioning system is generally a one-time, painless operation. Aside from annual inspections and tune-ups, a professionally installed system will give you many, many years of efficient, trouble-free installation. Non-professional installation, however, can cause you to have a system that’s inefficient and prone to frequent breakage. In extreme causes, it can be a safety hazard, damage your home or belongings, and negatively impact the value of your home. A professional installer has many tools at their disposal to make sure you get the best system and the best installation for your home. A professional installer will carefully evaluate your home to make sure you have the right size air condition system. Choosing the right size system is the first step, and there is a delicate balancing act of that takes into account many variables – too small an air conditioning system, and the system will be inefficient, will struggle to cool your home, will use more electricity, and will be more prone to needing costly repairs; too large a system will cause larger up-front cost and higher electrical bills in the long term. The installer will also have the knowledge and experience necessary to determine proper air-flow for maximum efficiency. They will be able to design and install ductwork that guarantees the most efficient air flow pattern. Improperly installed ductwork can leak or have obstructions that prevent air from the air condition system from being efficiency moved around in your home, causing your air conditioner to work harder. This can cause both inadequate cooling – and high electrical bills – as well as a shortened life-span for your air conditioning system. Prolonged usage of an improperly installed air condition system can cost you big in wasted electricity and premature wear-and-tear on the system, which can lead to costly failures and repairs. Having an experienced air conditioning professional, like the ones here at M&M Mechanical install your home air conditioning system can save you considerable aggravation today and both money and peace of mind later. Call us today or visit our website to schedule your free consultation. Posted May 19, 2016 at 3:44 pm by M&M Mechanical, Inc. & filed under General Tips . Posted May 5, 2016 at 8:20 pm by M&M Mechanical, Inc. & filed under Seasonal Tips . Spring is in the air and those hot humid days of summer are not too far behind. This means it’s time to pay some attention to your air conditioning unit. Homeowners who neglect to schedule a regular air conditioning tune-up are often those whose units unexpectedly break down during some of the most uncomfortable times of the year. For the small expense of a professional tune-up, breakdowns can be avoided; your unit will have a longer lifespan, and operate safely and more efficiently, thus saving you money on energy costs. Install gauges and check operation pressures. Turn exposed dampers to cooling position, if marked. Check total performance and operating efficiency of cooling system. These are just the main checks that will be carried out by a reliable HVAC technician, like the ones here at M&M Mechanical, Inc. While you can and should regularly change the air filter yourself, you need a trained technician to give your unit a through work over to protect it and the quality of your indoor air – and save you money. Posted April 21, 2016 at 7:29 pm by M&M Mechanical, Inc. & filed under General Tips . If your furnace hasn’t been regularly cleaned and maintained, it will have been steadily accumulating dust, debris, and dead insects. Over time, dirt building up in the air filter can transfer itself to the blower motor, resulting in the motor overheating and blowing the fuse. The fuse itself can become so coated with grime that the connection will break. All of this is preventable with regular service of your furnace. Vibrations from a working furnace can loosen an internal wire and result in a short. Finding, tightening, or replacing loose wires is not a do-it-yourself job. Prevention is the best policy – have your system inspected and tuned up on a regular basis. • Blower Motor – When a blower motor is failing, it tends to draw too much power which may result in a short. • Starting Capacitor – A failing capacitor can result in intermittent electrical problems. • Transformer – The transformer, which runs the ignition, timers, and controls, is necessary to convert the system to run on the correct voltage. If it is worn and not working properly, it can cause a short. • Valves – When a valve in a gas furnace is unable to open and close efficiently, it can overheat, causing an electrical short and a blown fuse. Don’t give yourself a headache by trying to fix furnace problems yourself. You can save yourself from blowing your own fuse by arranging for regular maintenance of your furnace. Give us a call to get on a regular schedule! Posted April 7, 2016 at 8:16 pm by M&M Mechanical, Inc. & filed under General Tips . Living somewhere where the temperature dips down below zero can be difficult, especially if you are used to living in a warmer climate. While you may not have much experience relying on the heater due to the warmer weather where you once lived, you need to get familiar with what kinds of steps to take to ensure your comfort and safety. In fact, a poorly maintained furnace can lead to your home becoming unbearably cold – leading to a potential disaster if there is a storm and the weather dips below zero. One of the biggest mistakes people make regarding their heater is only contacting a professional heating contractor when there’s a problem. Basic maintenance should always be done by a heating contractor in order for it to be done right, but it’s important to also remember how important basic maintenance is. In many cases, people forgo basic maintenance such as replacing filters end cleaning out the interior, leading to simple problems that could’ve been avoided. Since you may not be familiar with how to care for your furnace, it’s important that you know the basics of how to at least use it. By contacting the heating contractor and having them visit your home, you can get instructions on how to properly use it and have any pressing questions answered so that you can use it the way it should be. Your heater may not be performing as well as it should, making it important for you to get a contractor to your home. With their help, your heater can be tuned up so it performs well. If you’re new to the area, make sure to give us a call to get on a regular maintenance program for your HVAC unit – you’ll be happy you did!